The backyard garden is in full swing. And along with the weekly produce we receive from our organic CSA, we’ve been up to our eyeballs with greens the past few weeks (a countless number of BBQ Chicken Salad with Avocado Dressing have been happily consumed). The swiss chard in our backyard has been doing really well. Every time I walk outside, it’s staring at me saying, Whatcha going to do with me now? So I’ve sautéed it with pancetta. And made this decadent creamed swiss chard side dish that Asheley had no problem gobbling down. Swiss chard and onion tacos? Why not. But not using the stems always seemed so wasteful. There you have it. A little look into our backyard garden. But anyway, I remember coming across this recipe for pickled swiss chard stems and thought it was creative enough to warrant a try. 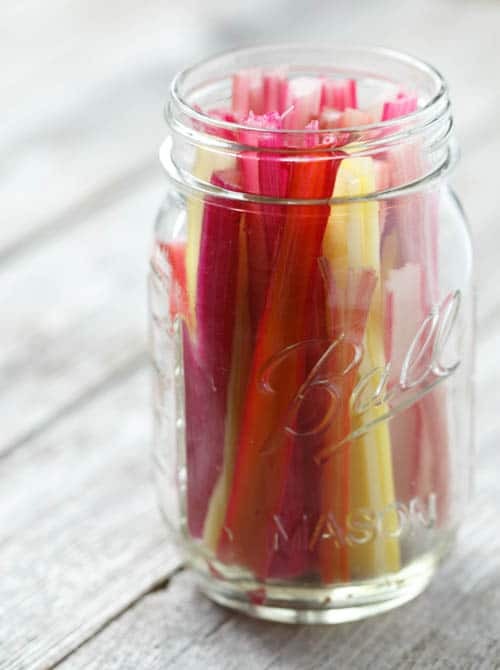 The rainbow chard stems look so beautiful in a mason jar, don’t they? The brine solution is quick to come together. No cooking necessary 🙂 It’s a bit sweet. Has a big acidic bite. And just a hint of heat thanks to a sriracha assist. I’m still thinking of different ways to use them, but already have one rockstar recipe ready to share with you in a couple days. I’m thinking they would also be great as an accompaniment to grilled meats, in wraps or salad, or topping a burger or tacos. 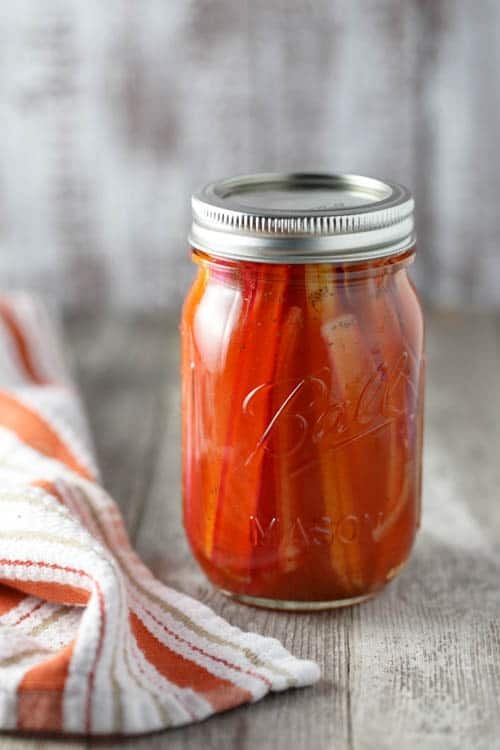 Place swiss chard stems and red onion in a mason jar or other vessel with a tight-fitting lid. Cut swiss chard stems to fit into mason jar as appropriate. In a small bowl, whisk together the vinegar, sugar, and salt until fully dissolved. Stir in sriracha and celery seed, and then pour over the swiss chard and onions. Cover jar with a tight-fitting lid and store in refrigerator for a couple days before using. Will last for a few weeks, kept refrigerator. 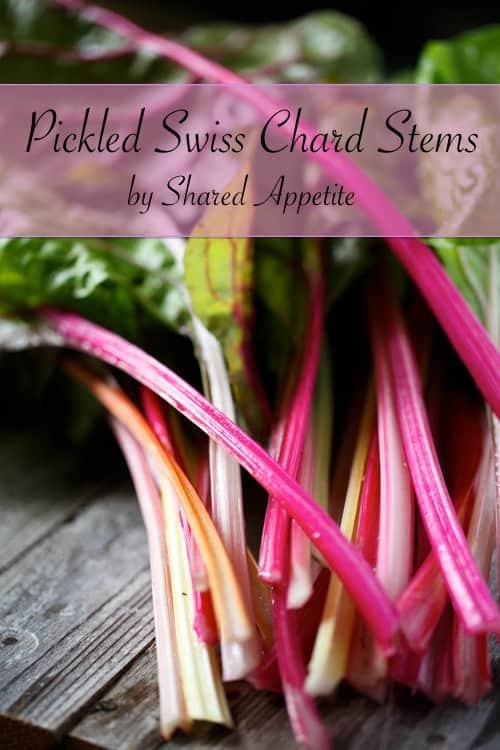 Use pickled swiss chard stems as toppings for tacos, sandwiches, as an accompaniment for rich meat dishes, or anywhere else a pickle seems appropriate 🙂 I recommend cutting the swiss chard stems into bite-sized pieces before serving. LOVE it!!! Now I’m really interested to see what you are going to make with your pickled chard. 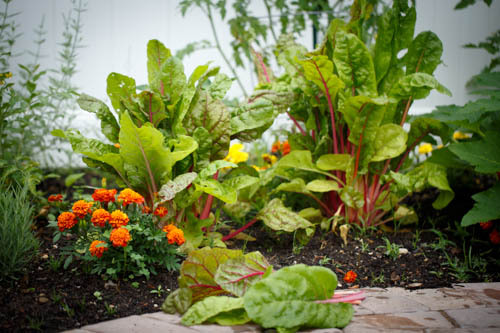 I never managed to get my chard seeds in the ground, but I think I might still have some time left.